WOW! 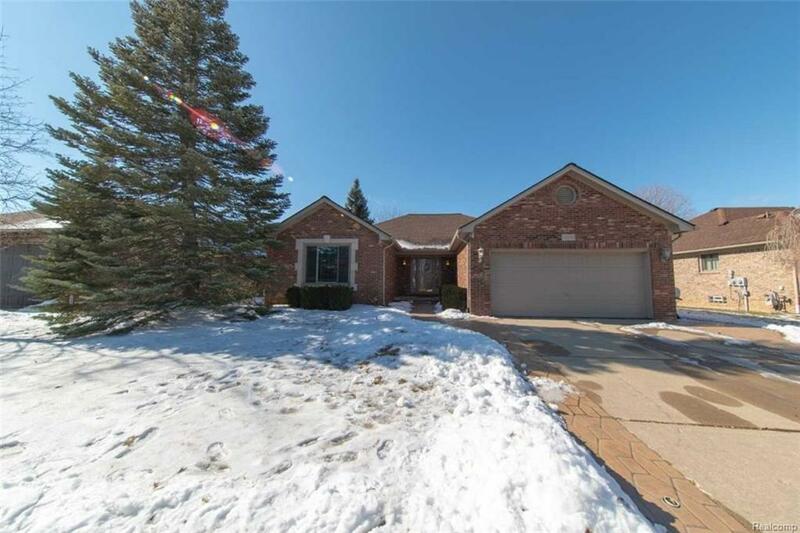 This incredible brick ranch loaded with upgrades is now available. Exterior features include a premium .28 acre fenced in lot, newer roof (2012), brick paver accents along the driveway and front walk, a rear stamped concrete patio and so much more. Interior features include a spacious master suite with full master bath and walk in closet, large room sizes, a Great Room with vaulted ceiling and fireplace, a kitchen with granite counter tops, new vinyl windows in 2016, and a professionally finished basement complete with half bath and a 12x12 room that makes a great office. The home is prepped for a generator and is conveniently located near parks, schools, and plenty of amenities. Basketball hoop and swing set are negotiable. Move in ready, this home is an absolute must see!